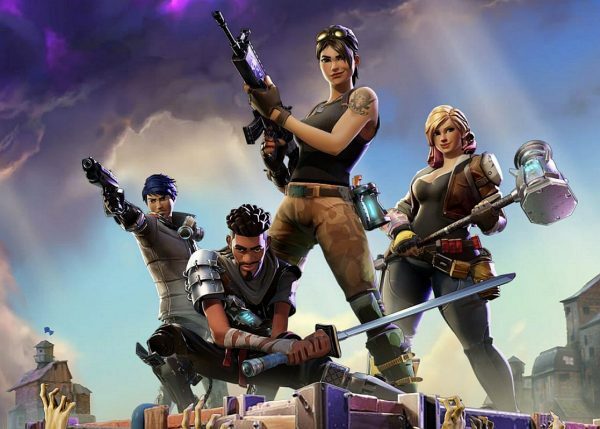 Epic Games’ Fortnite is one of the hottest titles on the planet right now as it enjoys success on PC, PS4, Switch, and Xbox One. It is also a major game to stream on Twitch. So what about the move to mobile? As it happens, Fortnite is heading to Android soon but it might end up being a Samsung device exclusive for a few months. While it is still in the realm of rumor, it’s believed that Fortnite will make its mobile debut on the Samsung Galaxy Note S9 for roughly 30 days to start. Yes, to start. According to AndroidHeadlines, Samsung could have the right to Fortnite for 60 or 90 more days. This would allow the company to get the game out to other Samsung devices either through its storefront or through Epic Games’ site. Since this smacks of mixed news–great that it’s coming to mobile, bad that there’s a 120-day exclusivity deal in place–remember, it’s still just speculation. Samsung and Epic Games didn’t confirm this deal. In an interview with The Verge, Epic Games CEO Tim Sweeney said that Fortnite wouldn’t be available on Google Play. Instead, there would be an installer program to get the game onto compatible devices. This works well for Epic Games since it would circumvent the need to give Google 30-percent off purchases made in the app. As we know, Fortnite is profitable because of those in-game purchases and giving Google a chunk of that is simply unappealing. Of course, the company paints it as wanting to have a direct relationship with players when it comes to purchases and wanting to cut out the middleman. Same thing, different wording, reasonable all the same.